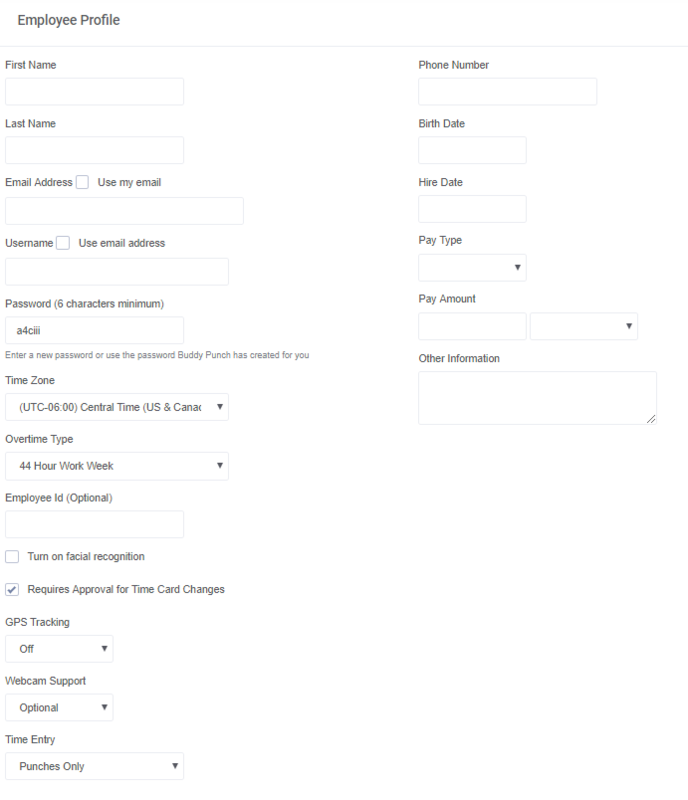 From here you will add your employee information, outlined below. 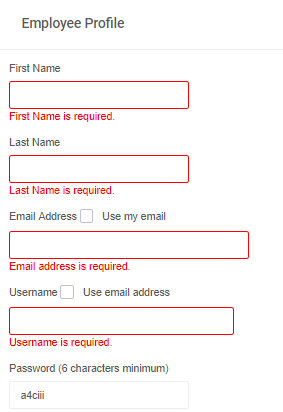 Employees only require a unique username, and it does not have to be an email address. You can use your own email address for all employees if you'd like to. Email addresses are used for password resets. After you add an employee we also send a welcome email to them, giving them their login information as well as a link to a new employee help section.